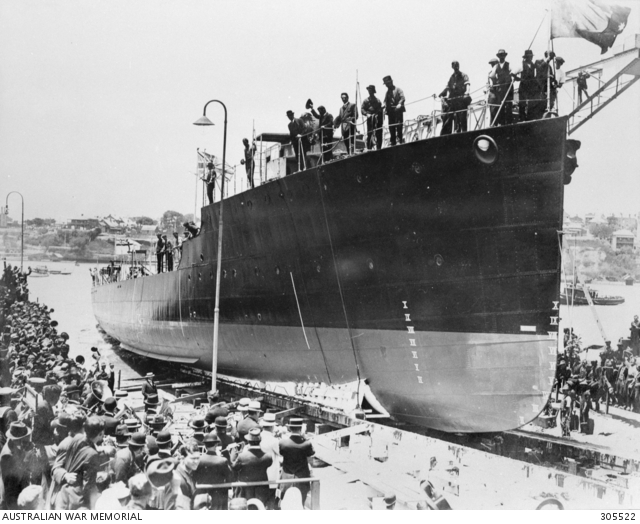 The launch of HMAS Swan, Cockatoo Island, 11 December 1915. Image courtesy Australian War Memorial. 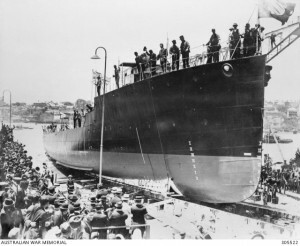 Left Liverpool 9.10 train, on to Rhodes, embarked on ferry, down Parramatta to Sydney aboard Mooltan; sailed 1.30; dinner 2 p.m. Retired 8.30, slept on deck, issued hammocks and life-belts. This entry was posted on December 11th, 2015.